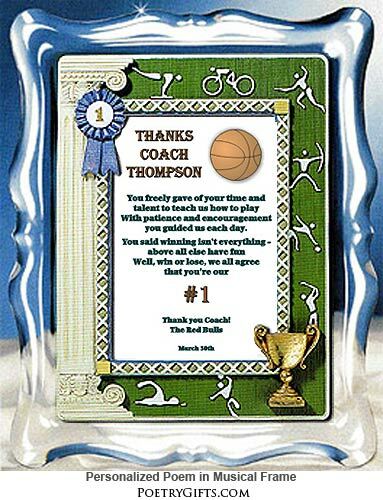 Need a special "thank you" gift for a basketball coach. 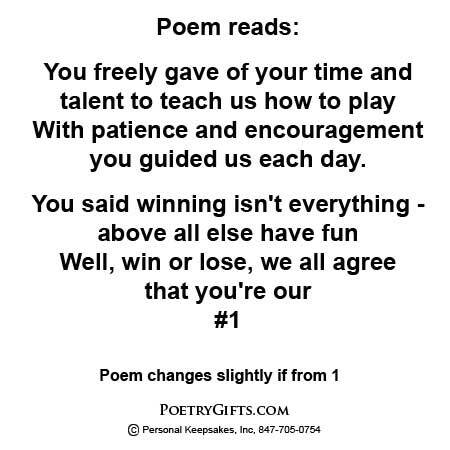 Take a look at this sports frame with heartfelt personalized poem letting the coach know he is #1 in the hearts of the kids he coaches. He or she will surely be touched by this thoughtful gesture.